Researchers in Australia are taking a closer look at the potential complications and the solutions for lung fluid drainage catheters that stay in place. Indwelling pleural catheters or IPCs, an increasingly popular option for draining mesothelioma-related lung fluid, are the subject of a new study conducted by researchers at the University of Western Australia. Surviving Mesothelioma has just posted the full story on its website. Click here to read it now. In a new report titled “Complications of indwelling pleural catheter use and their management”, University researchers detail potential IPC complications that mesothelioma patients may experience - as well as some simple solutions. “As clinical experience with the use of IPC accumulates, the profile and natural course of complications are increasingly described,” writes Macy Lui, one of three authors on the paper. Complications of IPCs can include things like infection, chest pain, and mesothelioma tumor metastases along the catheter tract. But Dr. Lui and colleagues say IPCs are still safer than options such as talc pleurodesis. “Because so many mesothelioma patients will experience pleural effusions during the course of their treatment, we are always on the lookout for studies on the best way to deal with this problem,” says Alex Strauss, Surviving Mesothelioma’s Managing Editor. For a more detailed look at the potential complications of IPCs and their solutions laid out in the new study, see Treating Mesothelioma-Related Lung Fluid Build-up, now available on the Surviving Mesothelioma website. 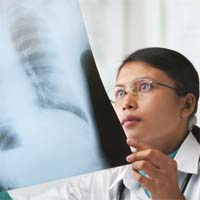 For nearly ten years, Surviving Mesothelioma has brought readers the most important and ground-breaking news on the causes, diagnosis and treatment of mesothelioma. All Surviving Mesothelioma news is gathered and reported directly from the peer-reviewed medical literature. Written for patients and their loved ones, Surviving Mesothelioma news helps families make more informed decisions.